Heat 2 tablespoons oil in large frying pan. Stir-fry chicken pieces until cooked. Set aside. Add 2 tablespoons of oil to a frying pan. Add Diamond Rice Risotto rice mix and fry until lightly browned (about 2 minutes). Stir occasionally. 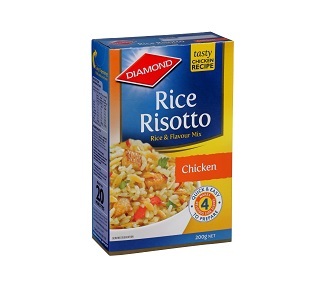 Remove from the heat and add 930ml of hot water and stir in Diamond rice risotto flavour sachet. Return to the heat and simmer covered for about 15 minutes or until rice is cooked and all liquid is absorbed. While rice risotto cooks, boil,steam or microwave asparagus and capsicum, until just tender, then drain. Return the cooked chicken to the rice risotto pan to warm through. Add cooked asparagus and capsicum at the last minute. 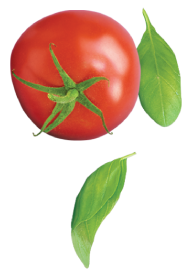 Serve with lettuce salad and sprinkle with parsley.